The new Iceland Christmas advert uses brilliant and emotive storytelling to highlight the damage that palm oil manufacturing can have on rainforests and their inhabitants. 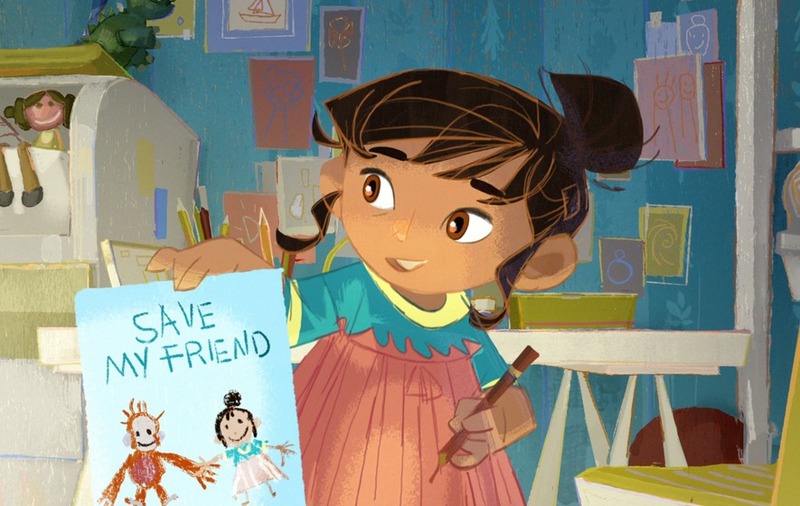 The advert concludes with Iceland letting viewers know that their own brand products will no longer contain palm oil. The advert was originally intended to be run on TV. However, that plan was foiled by Clearcast – an organisation that makes sure that TV ads follow broadcast advertising regulations – who decided that Iceland didn’t comply with rules designed to prevent political advertising appearing on TV. The rule that Iceland fell foul of was that it used film originally created and used by another body – Greenpeace – whose objectives are of a political nature. Clearcast’s stated concern did not extend to the content of the ad, but they would have been justified to have ruled against the advert on that basis too. Currently, the manufacturing and use of palm oil is perfectly legal. Those who disapprove of it would like to change the law to either make its manufacture illegal or at least better regulated. The voice over for the Iceland ad clearly has this sort of intent: it refers twice to fighting for change in addition to promising to reshape the future. As the advert’s stated desire is to influence public opinion – on a matter which is contentious – it is undoubtedly a political advert as defined by the existing rules, so it is right that the Iceland advert was not allowed to run on TV. The legality of rulings such as this were recently tested: in 2005 Animal Defenders International tried to run a TV ad showing a chimp in chains and it was prevented from going on air. That decision was challenged on the basis of freedom of speech, but the decision was upheld in both the House of Lords and the European Court of Human Rights. What the furore over the Iceland advert has highlighted is how out of date rules on political advertising are. The rules relating to political advertising were designed in era where there were very few ways to reach mass audiences using advertising; in order to prevent wealthy parties or organisations being able to buy the political opinions of the nation, political advertising on TV was banned. As can be seen by the fact that this Iceland advert has reach many millions of people – using only digital media– it’s now possible to reach TV-sized audiences without TV. As this is the case, it’s increasingly hard to argue why political advertising should be banned from TV. In a world where lots of people are consuming YouTube content on TV screens in their living rooms and Channel 4 content on their mobile phones (sometimes at the same time), a rule which says some adverts can run on one and not on the other seems bizarre. However, any change in legislation to allow political adverts to run on TV must be accompanied by regulations to make sure political advertising is held to the same standards as commercial advertising with regards to truthfulness and decency. Currently there is no regulation of political advertising. Parties and campaigns can – and often do – make statements that are objectively incorrect in their advertising and there is no way of stopping them. The focus of the debate around Iceland’s advert shouldn’t be ‘is it too political for TV?’, but should instead focus on the much more serious issue of why regulations relating to political communication are frozen in time.